Book Three – Sand Rangers – Out now on kindle! Book One – Flame Rangers – Buy Paperback! Buy on Kindle! Book Two – Ice Rangers – Buy paperback! Buy on kindle! Welcome to the official site of The Cinder Chronicles, a Fantasy novel series written by Australian Science Fiction and Fantasy author M R Mortimer. Flame Rangers is his first Fantasy novel. This is a series set in a world where people known as flame wielders are born with the ability to create and control fire. Some flames are strong and dangerous, others are subtle and controllable, all are mighty in trained hands. Cinder is a small country, isolated from the world by its geography, with a mysterious past that one day may explain the peculiar nature of the land. 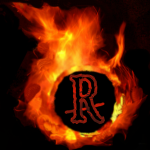 The Ranger Academy, an organisation dedicated to the training and recruitment of flame wielders, rules over Cinder with a mild hand, allowing much of the population to govern themselves. That is, until a despot rises and threatens the peace of the nation. At such a time, the Rangers are swift and efficient in dealing justice. This series will be released under the author name Martin R Mortimer, in order to distinguish the Fantasy genre works from the Science Fiction works of M R Mortimer, although some of the existing SF would also appeal to a fantasy audience (such as “Shades of Farthrow.”) The two will remain connected. The pen name change is for branding purposes, and to allow readers to easily distinguish between the two genres. Copyright M R Mortimer, 2015, 2016. All rights reserved.